From the North: Take Everett Turnpike South. Take Exit 8 to Route 101A West by following the 101A Bypass road to the end and go Right on to 101A West. Just after third set of lights take the next left onto State Street. Golds Gym is at the East corner of our building. Take first right into the parking lot and turn right to the front entrance. From the South: From Massachusetts take Route 3 North (also Everett Turnpike in NH) into New Hampshire. Take Exit 8 to Route 101A West by following the 101A Bypass road to the end and go Right on to 101A West. Just after third set of lights take the next left onto State Street. Golds Gym is at the East corner of our building. Take first right into the parking lot and turn right to the front entrance. From the East: From the NH Coast take Rt. 101 W to Manchester. After Rt 101 and Rt 293 combine follow signs and take the Everett Turnpike South (toll road) towards Nashua. 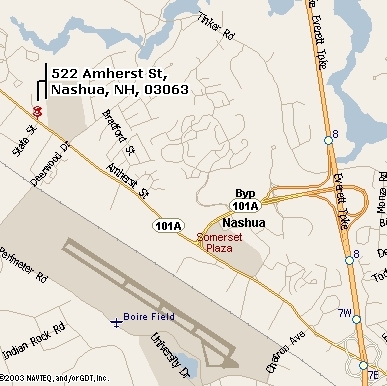 Take Exit 8 to Route 101A West by following the 101A Bypass road to the end and go Right on to 101A West. Just after third set of lights take the next left onto State Street. Golds Gym is at the East corner of our building. Take first right into the parking lot and turn right to the front entrance. From the West: Take Route 101A East. Pass the Target Department Store. Go through 1 Light. Take next Right on to Capitol Street and Take left into parking lot and drive to front of building. Please call before coming in. Wings & Nails - Free with minimum $15.00 purchase per bird. Minimum is waived for birds purchased from our store. DNA Sexing of your bird. $30.00 Per bird. Samples are taken and sent to lab for analysis. Results take about one week and a DNA Certificate is provided. Boarding Contract To be filled out once per customer before boarding. Small - Parakeets, Lovebirds and other small parrots. Medium - Cockatiels, Conures, Quakers, Senegals, African Greys and other medium parrots. Large - Cockatoos, Macaws or any bird requiring a large parrot cage. 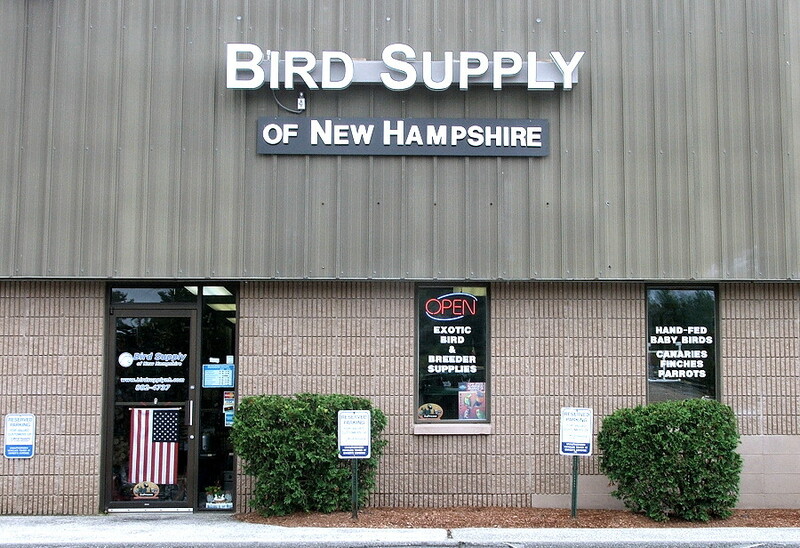 Discounts: 10% for birds purchased at our store.